Did you make something really delicious with turkey and now do not want to waste the leftovers? Are you looking for something light to make with these leftovers? Then trust me, leftover turkey soup is your best bet as it is not only easy-to-make but it’s also something really appetising and healthy. 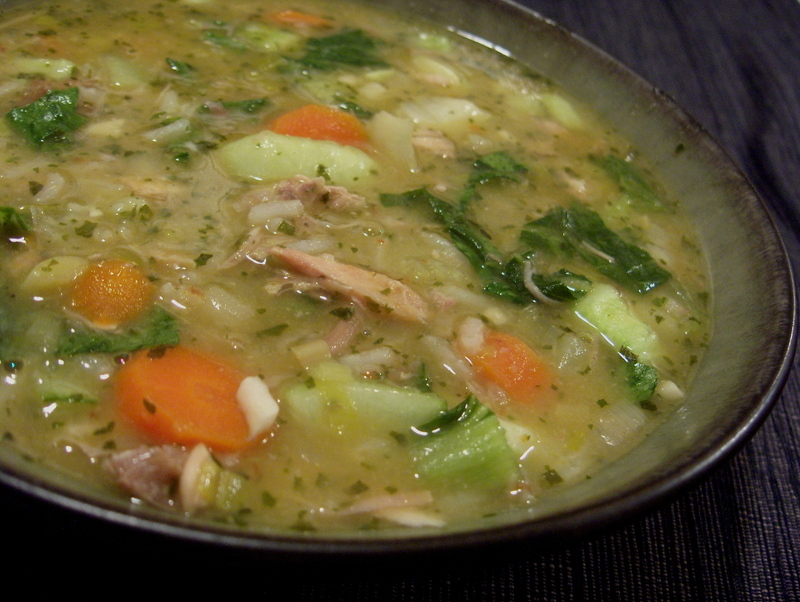 You can make this soup even for your guests by using the leftover meat pieces and bones of roasted turkey. With little bit addition of lemon and dill, you can give it a unique twist. The best thing about this soup is that you don’t need to put any extra effort in the kitchen. Just make sure that you are using the right amount of ingredients and then let the stove do its work. The flexibility is another quality of this recipe as you can add some egg noodles, salt and pepper to give it your own touch. Moreover, you can also make it more veggie by adding more vegetables than the suggested amount. First of all, you should rinse the utensils to avoid germs and dirt. Take a cooking pot, add olive oil and heat it on medium-high flame. Add 2 chopped carrots, onion and celery; cook them until onion changes its colour to golden. Now, you will add wine and bring it to a boil. The next step will to add turkey bones, bay leaf, bouquet garnish and water. Bring the mixture to a simmer. Cook the mixture for one hour and skim the fat if it comes at the surface. Take out the turkey carcass and pour the soup into a saucepan. Add pieces of meat and diced carrots. Bring it to boil and then serve after garnishing.